The architectural / engineering firm Hadjeracleous & Sardalos LLC (HandS Engineers) has been legally established on October 10, 1998. The firm offers high quality services in the areas of Architecture, Civil Engineering, Construction Management, Interior design and decoration, Landscape design, Energy Management and Facilities Management. 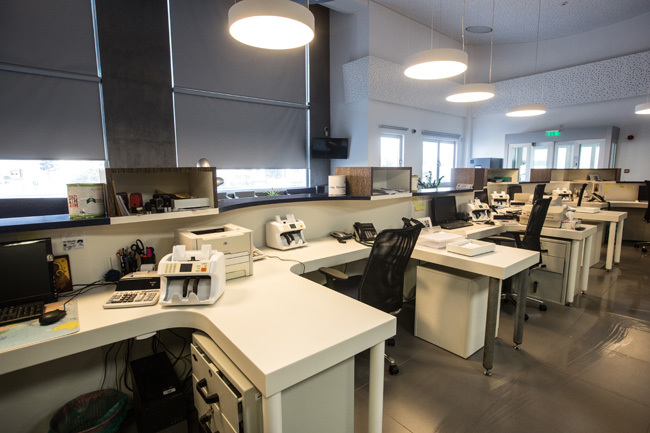 The firm is located in the town of Paralimni on 140, Ayiou Demetriou Street. HandS has been involved with projects throughout Cyprus from Polis Chrisoxous to Paralimni. Also our associates are located all over Cyprus from Paphos to Protaras. The office founders are, the architect/ energy manager Panayiotis Sardalos and the civil engineer Xenophon Hadjeracleous. The office consists of the associate architects, interior designers, draftspersons and secretarial / administration staff. HandS has permanent consultants from other fields of engineering (land surveyors, mechanical and electrical engineers and quantity surveyors) which are involved in the projects accordingly. HandS operates as a team of professionals offering various services from the initial stage, that is the preliminary advisory services, with focus on the real needs of the client, the proposal of alternative solutions until the final completion of the project. HandS projects reflect the firmís experience with many building types including cultural facilities, government buildings, educational buildings, industrial complexes, multifamily residential complexes, leisure buildings, office and commercial buildings and private residences. The best architecture is achieved through a process of intensive, ongoing dialogue, collaboration, analysis, editing and application of instinct and insight. HandS energetically collaborates with the client and consultants and arrives at appropriate solutions which are aesthetically pleasing, pragmatically efficient works of architectural excellence.